I would just like to say I called into the office last Friday and the staff where more than helpful. The gentleman altered my blind while I waited, superb service. Just wanted to say thank you, my blind is now back up and my new bathroom looks complete. I have used Warrington Blinds Direct now on several occasions and they have always delivered a quality product and service, so when we needed help with interior advice for a very special project that is to be aired on TV in the new year then it made complete sense to go back to Warrington Blinds Direct, and as always they delivered. What they did was amazing, their advice, service and products was quite simply unbelievable.......big thank you to all the team, I can never truly express how much of a difference you all made. Fantastic service, I would recommend to any person looking at getting new blinds, the team were efficient, clean and always put me first when on the job, I would give more stars if I could. Fantastic service today at our office. 9 blinds fitted in an hour. Excellent prices and workmanship. Highly recommended. Alpine Hire. Used when moved house last year. Excellent service and highly recommended. Got quoted for my blinds on Monday had them fitted today by andy. Fantastic service and thrilled with the results thank you! I bought blinds From Warrington Blinds four weeks ago when on offer at 7 for £135. Fitter called to measure up, delivered and fitted in four days and did a wonderful job. Thank You for such a great job. 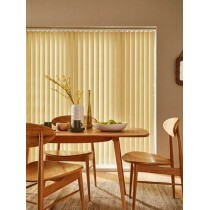 Shared with an endorsement - really impressed with the service you gave; love our conservatory blinds. An absolute pleasure to have Tony and Matty come and fit my shutters and two wooden slats today. Really professional, tidy and friendly blokes who did an excellent job despite my stupidly uneven walls/Windows. 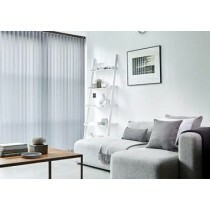 Great service and very reasonably priced fitting of non-shop bought blinds :) Thank you! 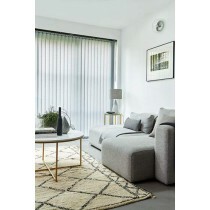 We have ordered 4 roller blinds, 1 Roman blind and two sets of curtains from Warrington blinds. They have been professional and helpful from start to finish and the quality of the material is excellent. The fitter tony was great, nothing was to much trouble and he was so polite and friendly. A great job all round and I will definitely be recommending you to friends and family. Had blinds fitted on Thursday very very pleased with them & the service from Warrington blinds direct. Will definitely recommend you to family & friends. The service that I received from Warrington Blinds Direct and the quality of the blinds that I had installed was to a very high standard. Jeff was very polite and gave me time to decide what type and Colour of blind that I wanted. I didn’t feel pressured to make a quick decision on the type and colour and was left with a quote for the total price. It was then left to me to decide if I wanted to go ahead and order the blinds. 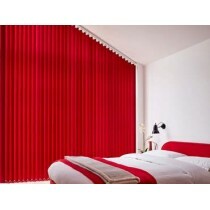 The blinds themselves are of a very good quality and value for money. I would have no reservations with using Warrington Blinds Direct in the future and would recommend them to family and friends. You recently fitted some blinds in my house. I was so impressed with the service received and quality of products that I have decided to get all my windows done now and I have already recommended your company to someone else since this work was done and will happily do so in the future. Thank you again. It has been a hassle-free pleasure dealing with you. They say word of mouth is the best advertising and I’ve got to agree. My sister ordered ten roller blinds from yourselves in October last year and she was happy with your service. Although I only needed two blinds I received exactly the same service. I have already passed your number on so expect a call from Mrs Sinclair. Really happy with choice of blinds I recently picked I took my time but after only 4 visits to your showroom (Sharon and Ruth both have patience of saints) I decided on perfect pleated blinds which look great in my conservatory and really help us keep a bit more heat in winter (saving on energy bills) and keeping the sun out in summer we can now enjoy our conservatory all year round, plus they\\\'re manufacturers too so their price was the cheapest out of 5 quotes, really happy 10 out of 10.